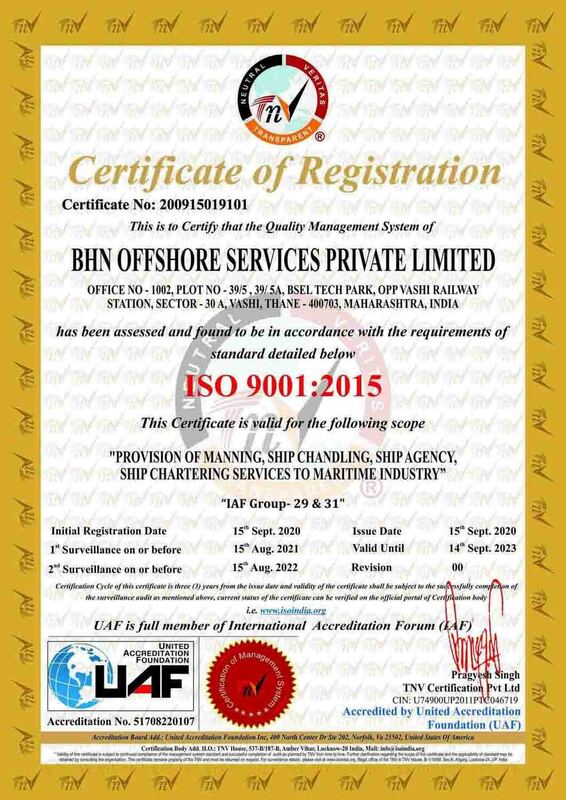 Our mission is to provide a comprehensive range of professional ship management and chartering services to the international sea transportation industry and turnkey marine support to the offshore Oil and Gas exploration industry using the principles of quality, safety, environmental protection and profitability. Our vision is growth and continued profitability with innovation and imagination to be among the best providers of reliable quality, safe and environmentally friendly ship management services worldwide. From our Management team to our seamen onboard, BHN Group is a team of highly motivated people sharing the same passion for the sea like a family and the ships that we manage. We believe that it is not only a job, we are perfecting it, dedicating ourselves to our vessels and taking great pride in the condition of the vessels we manage. Thanks to the Precision with which we manage our fleet, we achieve the most cost efficient Ship management service worldwide. The company adopts a highly professional and cost conscious attitude in the management of our fleet. We maintain and operate cost control at all levels, from the sourcing of the spare parts to the placing of insurance cover and have learned over the years to deliver services tailored to the needs of our customers; our staff at sea and ashore is constantly being briefed to respond to our customer's demand and specifications. BHN Group views are to work with ship owners as partners. In order to develop a long-term partnership we have established transparency in our policy, we believe that it is due to the reliability and seamless communication established with our clients, that we keep ahead of their expectations, enabling an efficient and fruitful partnership.